German author and translator; born in the district of Breisgau 1555; died 1598. In 1583 he went to Frankfort-on-the-Main, but was obliged to leave that city on account of the plague. While on the road he composed his "Ohel Ya'aḳob" (Freiburg, 1584), a commentary on the "'Iḳḳarim" of Joseph Albo. 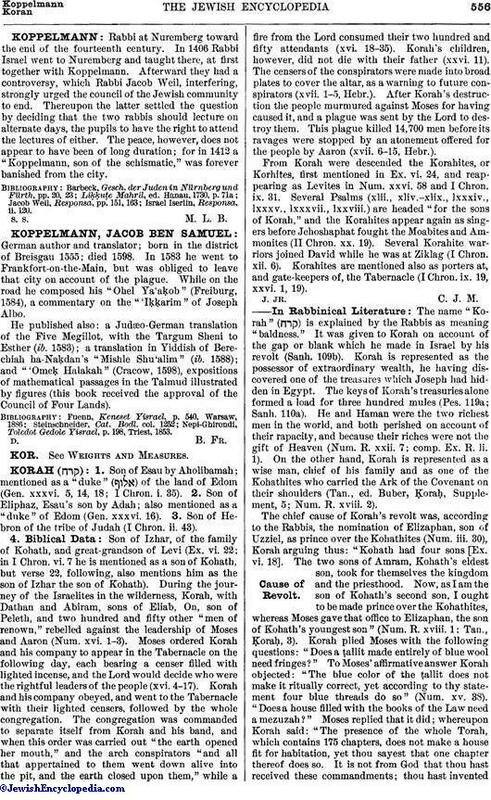 He published also: a Judæo-German translation of the Five Megillot, with the Targum Sheni to Esther (ib. 1583); a translation in Yiddish of Berechiah ha-Naḳdan's "Mishle Shu'alim" (ib. 1588); and "'Omeḳ Halakah" (Cracow, 1598), expositions of mathematical passages in the Talmud illustrated by figures (this book received the approval of the Council of Four Lands). Nepi-Ghirondi, Toledot Gedole Yisrael, p. 198, Triest, 1853.